Pure Contours is an exciting start-up business offering high-end bespoke sculptures of hyper cars and more. With strong branding and a beautiful product, Pure Contours owner wanted his website to reflect these brand qualities in a sleek design. 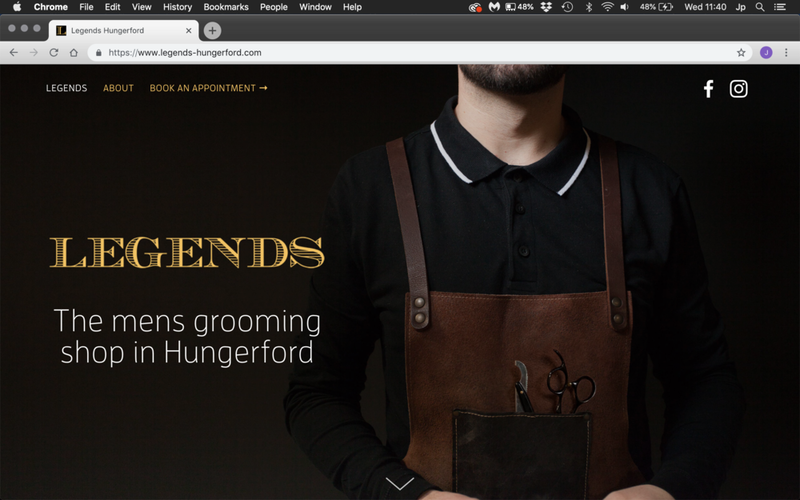 Legends Barbershop in Hungerford is a thriving business with a cult following. The owner of the business wanted a simple to navigate and visually attractive website that described his business and offered a booking system with some unique features. Together we worked on the project and the site was published, with bespoke photography, within x3 man days. Cate wanted her CPC Training business website to reflect the corporate colours, describe her proposition and include an event planning function to promote her courses.